Updates to Robley's profile since your last visit are highlighted in yellow. I have lived in Dahlonega, Ga, Statesboro, Ga; Albany, Georgia; Saluda, SC; Savannah, Ga; Dublin, Ga; Albany (again); Snellville, Ga; and Tampa, Fl. I spent 31 years as a Bank Examiner with the State of Ga and retired as a Deputy Commissioner. 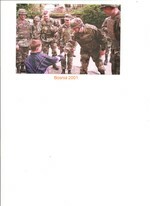 I spent 37 years in the GaARNG, Army Reserve, and Army and retired as a Major General. I also worked in the private sector as an Account Executive with a Mortgage Lender for 3 years and as a Review Examiner with a bank holding company for 4.4 years prior to retirement. It was all good memories and great classmates. Robley Rigdon has a birthday today. 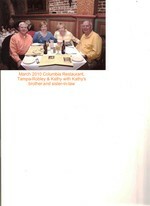 Robley Rigdon updated profile. View.